On May 3rd, Midsomer Murders fans got a fantastic surprise. Series 20 was dropped on Acorn TV followed just hours later by the announcement that it was also on BritBox. For the first time, you can watch the premiere of the new series on EITHER of the major British TV subscription services. Even more incredibly, US audiences actually get to see the episodes BEFORE they premiere in the UK. Click here to go to Amazon and add Midsomer Murders Series 20 to your watch list. What's Included in Series 20 of Midsomer Murders? In Series 20, Neil Dudgeon is back as Detective Chief Inspector John Barnaby. Alongside him, we have the relatively new Nick Hendrix as DS Jamie Winter, Fiona Dolman as wife Sarah Barnaby, and newly-added Romanian actress Anamaria Marinca as pathologist Petra Antonescu. There are six feature-length episodes in the new series, and topics include bride killers, an elite high IQ society, a cursed abbey, a death at the local rugby club, a circus, and a comic festival. 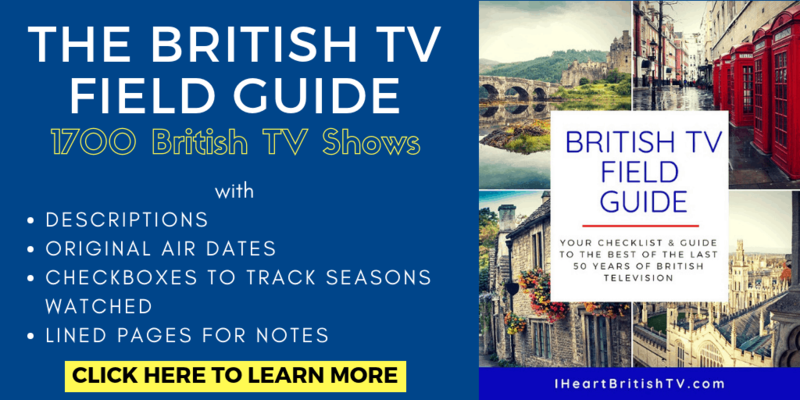 If you're watching on BritBox, you'll also be able to find their exclusive playlist of Neil Dudgeon's favorite episodes for the first 19 series. Each of them will be accompanied by a video introduction. We're not sure where to find that feature in BritBox just yet, but we'll let you know when we find the episode in question. Since the episodes have only just launched, the Midsomer Murders death counters don't seem to have been updated just yet for the murders of Series 20. On an episode-by-episode basis, we like to make a game of it. Everyone gets 15 minutes to lock in their predicted number of deaths for the episode, along with methods employed. The person getting closest wins, but the sheer variety of death methods makes it an incredibly difficult thing to nail. After all, who would randomly guess “murdered by King Neptune's trident”, or “death by slide projector”? Between this surprise release and everything else showing up on the British TV streaming services lately, I'm sure it will be a busy weekend for many. Will you be binge-watching, or carefully rationing them for maximum duration of enjoyment? I live in Bandon Oregon and could not find season 20 of Midsomer Murders on either Acorn or Britbox. Hi Pamela – I’d recommend checking again. It’s definitely on both! Series 20 is being shown in the US already ? I play the role of a Police Officer in Send in The Clowns episode. Not seen it here in the UK yet. Binge watched Midsomer from the beginning. What a show, what a show, what a show. Lot of twisting in the plots. Just when I know I have figured it out, I’m wrong. All the actors are superb in their characters from Series 1 to Series 20. I’ve been purchasing the box sets from the very beginning, with Tom Barnaby with Troy, through John Barnaby & his most recent side-kick.. I love the English countryside as much as the show itself! For me, here in Montana, westerns & Midsomer Murders rule! !